It’s a beautiful time of year. Spring has officially sprung and a few warm days have finally shown up here on the seacoast. This beautiful tree on the grounds of the Wentworth By The Sea grand hotel in New Castle is just mesmerizing. I love the colors of the leaves along with the natural color of the grass and bark. 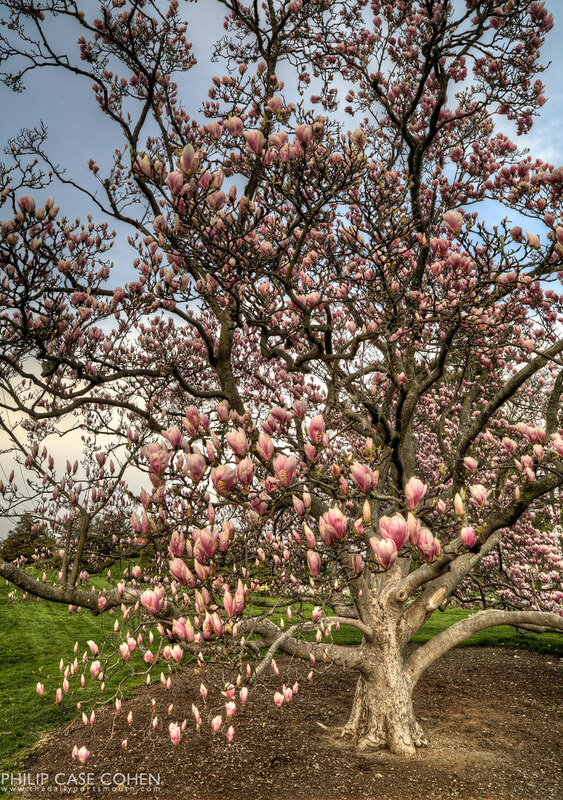 I believe that’s a saucer magnolia and they are beautiful! You’ve captured it perfectly!